We live in scary times and the recent shooting in Las Vegas reminds us of that. 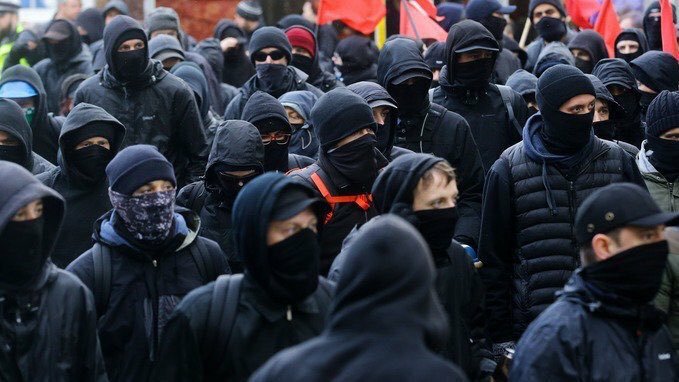 In addition to this horrific shooting and natural disasters that have recently hit our country, now radical left-wing organizations known as the Antifa and BLM are going to riot nationwide in the US. Their plan is to begin rioting and committing acts of terrorism and violence on November 4th, 2017. The mainstream media has been vague and hasn't reported on this organization's plans, but the terrorist group has been very open about what they plan to do. Recently they shut down the 101 Freeway in Las Angeles. They held the sign “it begins” while chanting. If that doesn't sound like a warming sing then I'm not sure what is. To find out more about these terrorist organizations and how we can start preparing for these acts of terror, check out the next page. What you'll learn can also be applied to how to respond to natural disasters, as well! Also, don't forget to watch the video at the end. I'm sure you haven't seen this video on any of the main news channels!